AJWRB thanks you for taking the time to consider this information on blood. Assuming you are a Jehovah’s Witness and have read all of the information, the next step for you will be to research the scriptures and references cited through out these pages. We feel that it is important that you not take our word on what has been here presented, but that you actually research these matters for yourself. Although this matter can seem complex, it really isn’t. In the final analysis, for the Watchtower Society’s blood policy to be correct, they must be able to demonstrate with certainty that a blood transfusion is the equivalent of eating blood. As we have seen, they cannot. Such a notion finds no support from the scientific or medical community. If you are a Jehovah’s Witness, you may be inclined to talk with another Witness at this point. In fact, you may find it hard to contain yourself. Please be cautious, and don’t overwhelm others with the information. Please understand, this doctrine has cost many lives. We wish there were some hard numbers available, but are unaware of any. If the society possesses such statistics, they are carefully guarded. We can personally document numerous deaths, some among close family members. Perhaps you have had a similar experience, or you are just now being confronted with this issue. Perhaps this challenge will face you or a loved one in the future. One can certainly imagine the Watchtower continuing to reform its policy on blood. This will most likely happen in gradual steps to lessen the impact on both the Watchtower Society and the Jehovah’s Witness community. Watchtower lawyers and governing body members likely feel this slow process is necessary to avoid costly litigation or a large exodus from the organization. They may also be hoping that developments with artificial blood like Hemopure will save them from their present dilemma. Should such treatments become widely available, we could only rejoice. Unfortunately, this will come too late for many of Jehovah’s Witnesses. It doesn’t have to come too late for you and your loved ones. When you complete your research, and assuming you reach the same conclusions as we have, you will then find yourself in a dilemma. To openly question or challenge this doctrine could result in a judicial action leading to disfellowshiping if you are a Witness. In any event, we urge you to be cautious, for you risk much. Many Jehovah’s Witnesses have decided that they cannot in good conscience remain associated with the organization, and have left, or are leaving. Others feel they must stay to help their friends and loved ones, and work for reforms. Yet others are content to simply wait it out and hope that the blood issue does not come up. You must decide the proper course of action for you and your family. Is it possible for you to disagree with this doctrine and continue being one of Jehovah’s Witnesses? Perhaps. To a large extent this will depend upon your conscience, your personal circumstances, and your ability to harmonize various Bible principles with your situation. If you decide to stay, and are at some point questioned by organizational representatives, what should you do? From a scriptural standpoint, it is entirely appropriate for you to withhold certain information when your life is at risk. To do so is not to lie, but rather to employ what the Watchtower Society refers to as theocratic war strategy. Whether or not you personally feel comfortable with such an approach will determine how you respond, but bear in mind, your life both physically and spiritually could be at risk depending on how you respond. Furthermore, bear in mind that the Watchtower Society knows the truth about blood, and chooses to pursue a policy that frequently results in the death of members of the organization. They have not even directly responded to the information we have presented them, so there is little doubt that they act with “bad faith” in our view. Finally, they have shown themselves more than willing to simply silence dissenters by disfellowshipping them for telling the truth. With these thoughts in mind, we offer the following suggestions in the event you are questioned or charged. You might simply state that you have been doing some research in the publications on blood, and that some of the changes over the years confuse you. Remember Jude counseled that mercy should be shown to those who have doubts. The key here is to stay away from strong dogmatic statements like: “The Society’s position on blood is wrong.” You could tell the brothers that you will be careful to discuss your questions with the elders in the future, and apologize for any disturbance you may have caused. Assure them that you value being a part of the congregation. Then there is the matter of carrying a blood card. This document could cost you your life in an emergency situation. In trauma cases, Witnesses commonly die as a result of massive hemorrhage. Volume expanders can’t carry oxygen to your brain and other tissues, that takes red blood cells. We suggest that you go ahead and fill the card out, then tuck it away for safe keeping. If you are summoned before a judicial committee, you can always go get it before the meeting and put it in your wallet once you get to the Kingdom Hall. This alone may be enough to deflect any judicial action. We suggest you don’t get involved in trying to convince the elders that the doctrine is wrong. Not unless you want to be disfellowshipped. You also may want to make up your own medical document that states what your wishes are and put this in your wallet. Get it witnessed or notarized. This should take care of getting you life saving treatment in the event a well-meaning friend, relative or elder shows up at the hospital and you are unconscious. It is likely that you are going to encounter situations that will call on you to act. How can you stand by and watch innocent people lose their lives for nothing? Of course, you will have to decide how to handle these situations. Perhaps you could anonymously contact them by letter, giving them the address to this website. If it is an emergency, perhaps you could give them a copy of the information that is presented on this site through a third-party like a nurse or volunteer at the hospital. If you find yourself in a situation where you need blood, you will have to be very cautious. Discuss this with your doctor, and tell him you need complete confidentiality. If your surgery is elective you may want to consider an autologous transfusion. Your own blood can be stored for up to 42 days, and some specialized facilities can store your blood for as long as ten years. Do not advise other witnesses you are having surgery, etc. This will likely invite a visit from them or HLC, and make it much more difficult for you to get the treatment you need. Perhaps you could arrange for a short vacation, and have the treatment in a nearby city. If so, don’t sign in as one of Jehovah’s Witnesses as this could lead to a visit from a member of the Hospital Visitation Committee. If you find yourself, or a family member in a situation where you need blood, and other Witnesses are present, we suggest you enlist the aid of the hospital. They can inform other Witnesses, including elders and HLC members, that the patient is too sick for any visitors, and they can enforce this. Needless to say, if you get caught using a blood product not currently approved, you may be questioned. We personally know some elders who feel there is no choice but to consider a Jehovah’s Witness who takes blood as worthy of disassociation and shunning. Of course this is an unscriptural position, but it appears to be pretty common. Perhaps one of the greatest dilemmas many of us have faced is coming to grips with this question. The answers are unsettling, and if you spend much time on the Internet, you will quickly learn that the WTS has other problems in addition to its doctrine on blood. Perhaps you are already aware of this. Many Witnesses have written to AJWRB concerning other issues related to chronology, shunning, etc. We have no position on these other issues as a group although individual members have their own views concerning these points. AJWRB has a very focused agenda. The blood prohibition causes us more concern than any other teaching or doctrine of the WTS. The Watchtower’s blood policy can cost you your life or the life of your mate or your children, and it’s does not have a solid scriptural basis. 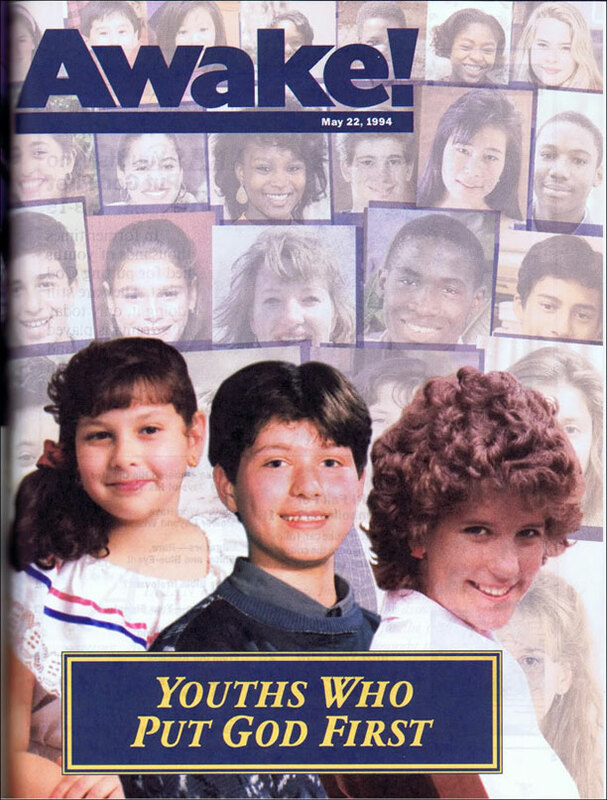 Your death or the death of others will bring no honor to Jehovah for “the dead do not praise God.” Sadly, the Watchtower obviously does not understand this and even has the audacity to brag about the Jehovah’s Witness children who have died supporting its bizarre policy. 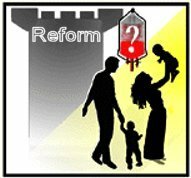 Based upon the Watchtower Society’s reform’s and posturing, we are convinced that the doctrine is already in the process of being discarded ala, “the generation of 1914,” “organ transplants,” “vaccines,” etc. Those who die do so for the society to save face. As for our other beliefs, if there is one constant, it is change. Can you imagine if Br. Russell or Br. Rutherford (1st and 2nd presidents of the Watchtower Society) were alive today? If they conscientiously held to their beliefs, they would be disfellowshipped as apostates, yet today the Watchtower teaches they are reigning with Christ in heaven. How ironic. Some on becoming aware of this information may decide to walk away from the organization. This is certainly their choice to make and quite understandable. For many in the organization, walking away from friends and families is not an option. They must find a way to make things better for their brothers and sisters, their families and themselves. This is a courageous position to take that can only be admired. We reiterate that we are not advising individuals to leave the organization, nor are we advising them to stay. This is a choice they must make. Either choice has serious ramifications, and “each must render an account to God.” To assist those who decide to stay, we have made some suggestions that we believe are in harmony with scriptural principles. In the final analysis, however, each individual must decide how to handle the various situations discussed, and should act so as to maintain a good conscience. We hope that you have found this information helpful and that you will consider doing what you can to help bring about reform on this vital issue. 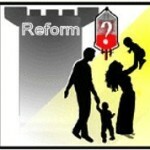 Please consider the suggestions made in the article “Speeding Up the Pace of Reform”.